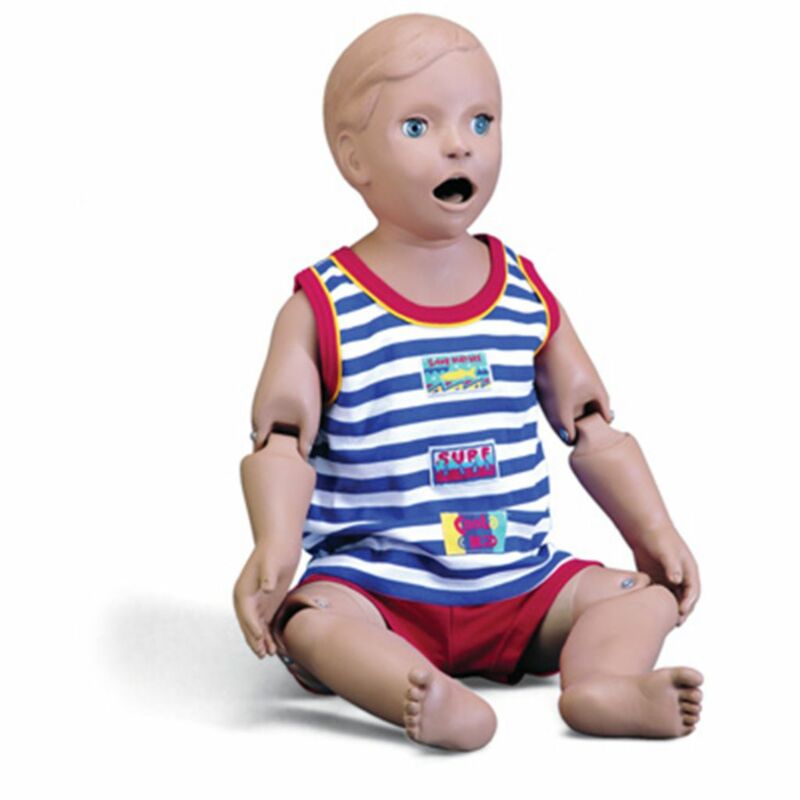 This manikin simulates a one-year old infant with rotatable arms and legs (jointed elbows and knees) and articulating head. It allows training of basic and advanced pediatric patient care procedures such as: Bandaging, Ophthalmic exercises, Oral and dental hygiene (articulating jaw with teeth and tongue), Tube feeding, NG and OG, and gastric suction, I.M.. injection (upper thighs), Tracheotomy care, Male and female catheterization, Enema administration. 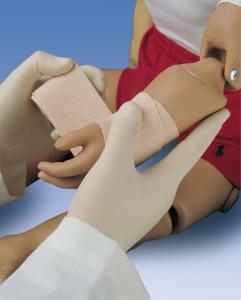 With the addition of the IV Arm Injections and finger pricks can be practiced.